Mechanical keyboards are all the rage right now. Just about everywhere we turn we find someone sharing their new mechanical keyboard; so popular are they that there’s an active Reddit community of some 362,000 subscribers. We’re an Android site, and we talk about mobile tech. Why do we care about mechanical keyboards all of a sudden? Well, as it turns it, you can have a little bit of both worlds. 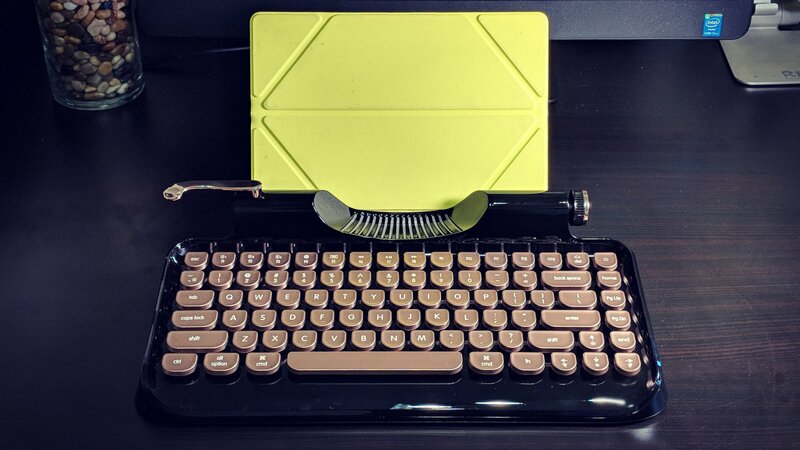 Last summer we learned about the Rymek retro-style mechanical keyboard with Bluetooth capabilities. 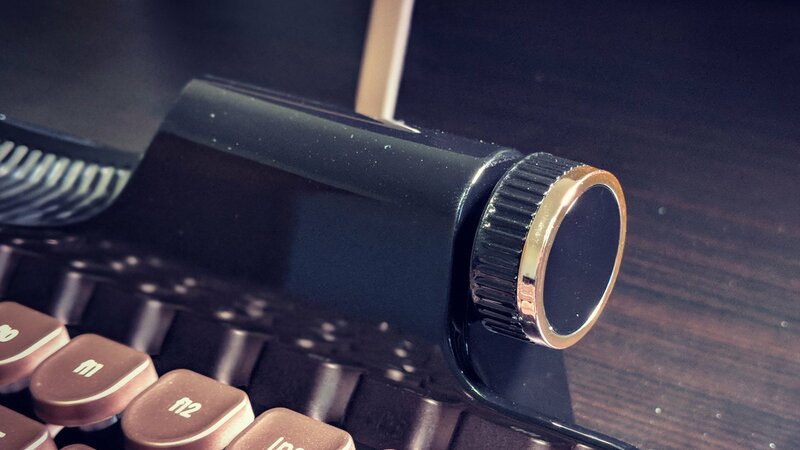 Designed to resemble old school, vintage typewriters, it supports both wired and wireless (Bluetooth) connectivity. Naturally, we asked to check one out. Upon opening the box we immediately fell in love with it. See, sometimes you find tech that looks great in photos and on paper only to learn in person that it’s not all that awesome. That’s not the case here. In the real world this thing looks, and feels, incredible. With a black base and rose gold color for the keys, the Rymek looks like something you’d find in your great-grandmother’s attic. Yet, somehow it would also not surprise us to see it in a Blade Runner or Black Mirror setting, too. You know that flat, quiet experience you often get with Bluetooth keyboards? Usually thin, minimalist, and otherwise boring? This isn’t it. No, this is a keyboard that’s not only clicky and a little noisy, but it’s a conversation starter, too. 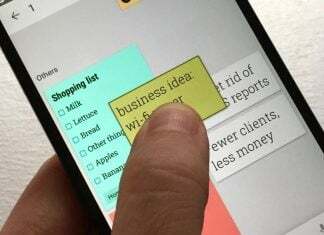 They keyboard supports Windows and Mac OS as well as your mobile platforms of Android and iOS. In fact, although it’s not a portable unit that stows away in a bag, it works great with your tablets. This is partly due to the stent that snaps into the back of it. Where you might have previously feed a sheet of typing paper, now you can put your Galaxy Tab S3 in portrait or landscape mode. After having spent so much time with a simple Bluetooth keyboard at our desks, we have really come to like the Rymek. The saddle-shape to the keys gentle hug the finger and provide excellent response. 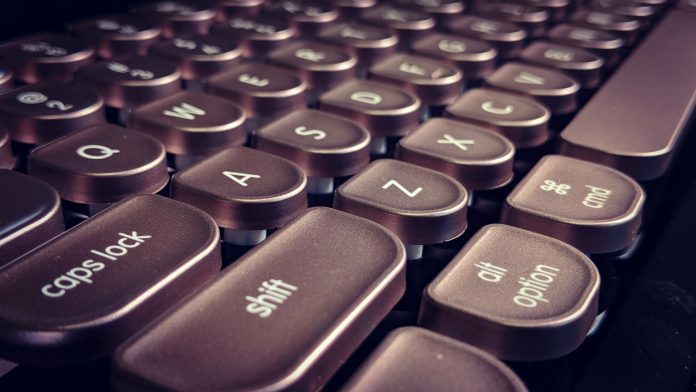 The keyboard features Blue and Brown Switches, which is important to mechanical keyboard enthusiasts. Let’s talk about the lighting effects. It wasn’t enough just to make this keyboard look like something out of the past. No, the dynamic lighting is where the futuristic aspect comes into play. The keys themselves are backlit, something you don’t often see in a wireless keyboard. The Rymek offers five brightness levels and seven light effects; four speeds let you fine-tune things to your liking. Some might be a little distracting at first, but they’re just so cool you can’t not have something going on. The keyboard pairs with up to three devices via Bluetooth and there are shortcut buttons to hop from one to the next. Moreover, the return handle that sits at the top left of the Rymek lets you toggle between Bluetooth and USB mode. Speaking of functional aesthetics, the scroll knob on the right is how you adjust your media volume. It’s not just for looks or to remind you of how things used to be in a paper world; it’s practical. The internal battery on the keyboard is 2,000mAh, or way more than you’d normally expect from a simple Bluetooth unit. But, when you factor in various light effects and usage, it will have an impact. With that said, it’s estimated that you’ll get about 50 hours out of a single charge. We’re huge fans of the Rymek. Prior to receiving our review unit we didn’t know half of what do about mechanical keyboards. We also learned it’s not the only one of its kind. But, looking through its Indiegogo crowdfunding page, and comparing to others, there’s an amazing amount of value packed into this kit. Given how much a physical keyboard increases productivity on a tablet, we’ve found that the Rymek has breathed new life into our Nexus 9. The pair have found a place in our home where it’s perfect for managing emails and other tasks in the evening. In addition to the black and gold version, you can also purchase it in a caramel and white option. The black has a gorgeous “piano” lacquer that really does mimic the finish of piano keys. If the caramel looks like we think it would, we’d have a hard time not wanting to eat them. The Rymek will normally retail for $199, which puts it right in the thick of things as compared to similar units. But, if you get in on it now and you’ll nab it for only $179.